There has been a recent rise in heroin charges in Los Angeles. Because of the very nature of heroin being a dangerous controlled substance, prosecutors and law enforcement aggressively prosecute these charges. You can be charged a number of offenses related to heroin, such as possession of heroin, possession of heroin for the purposes of sale, under the influence of heroin, and possession of heroin paraphernalia. The best approach when facing any drug accusation is to retain a Drug Defense Attorney in Los Angeles at the cases earliest possible juncture. Early attorney intervention could mean the difference from a state prison sentence or drug diversion. The punishment for heroin charges will depend on your conviction. On November 4, 2014 the California voters approved Proposition 47 revising the penalties for those convicted of simple possession. As a result, if you’re convicted of simple possession of heroin, you face up to 1 year in the county jail. In the event you’re convicted of possessing heroin for the purposes of sale, you face 2, 3, or 4 years in county jail. If the court places you on probation, then normally the judge will impose drug counseling classes, NA meetings, community service, and court fines. In either conviction of a felony or misdemeanor, you may be required to register with local law enforcement as a narcotics offender. Additionally, a conviction may adversely affect your immigration status in this country or revoke your state license – e.g., doctor, teacher, lawyer, contractor, real estate broker. Depending on the facts of your case and your prior criminal history, you may be eligible for drug diversion / alternative sentencing. Moreover, this allows you to plead to the drug charge(s) and participate in drug counseling / rehabilitation while avoiding the conviction. If you successfully complete the drug program, after 12 or 18 months, the judge will dismiss your case. Heroin charges usually involve search and seizures issues that must be carefully analyzed. For instance, an illegal traffic stop or police armed with a search warrant to search your home or office. All search and seizure issues are extremely fact specific. In the event the police committed a violation of your search & seizure right under the Fourth Amendment, the court will order the evidence inadmissible and the prosecution will be unable to proceed with their case. In all heroin cases, a police officer or detective will attempt to question you regarding the substance. Some of the most damaging evidence against someone is their own incriminating statements to law enforcement. For example, law enforcement may be questioning you in order to elicit information to prove you had the intent to sell heroin. If the police are attempting to question you, decline to give any statement and contact a Heroin Defense Lawyer in Los Angeles right away. If you suffer from any criminal conviction related of heroin, then you may be eligible to expunge your conviction under California Penal Code 1203.4. Certain conditions apply when attempting to obtain this remedy. For example, your conviction cannot have resulted in a state prison sentence. Additionally, you must be completed with probation and obeyed all orders from the court as well as pay off all your outstanding fines. If you’re eligible, then upon proper petition, the court will withdraw its finding of guilt, enter a not guilty plea, and dismiss the case under P.C. § 1203.4. When successful, the court will have declared you to be statutorily rehabilitated releasing you from all “penalties and disabilities” resulting from your conviction. 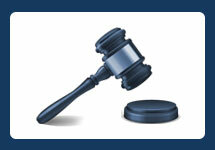 For more information or discuss your eligibility, contact the Law Offices of John D. Rogers. 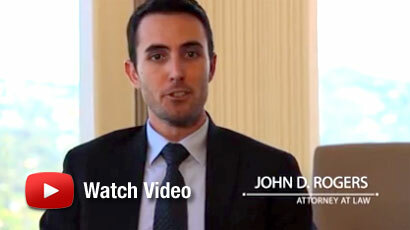 If you’ve been arrested, charged, or are under investigation for a drug charge involving heroin, contact Orange County Drug Crimes Defense Attorney at the Law Offices of John D. Rogers. Give us a call to schedule a free confidential consultation concerning your rights and defenses. Los Angeles Arson Defense Attorney Arson is an inherently dangerous “strike offense” felony much like, robbery or burglary, and carries a mandatory state prison sentence….